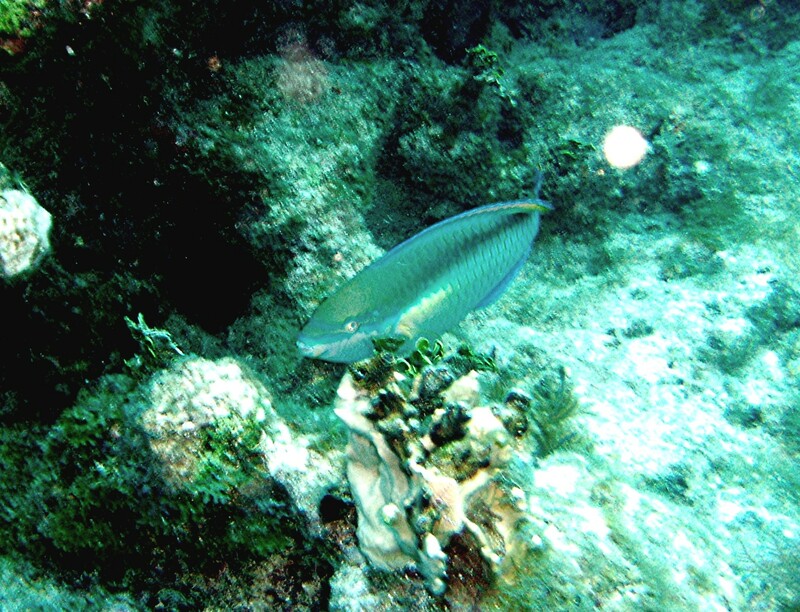 This is a Striped Parrotfish about 9 inches. Photo by Rod 20 Feb 04 in about 20 feet water. 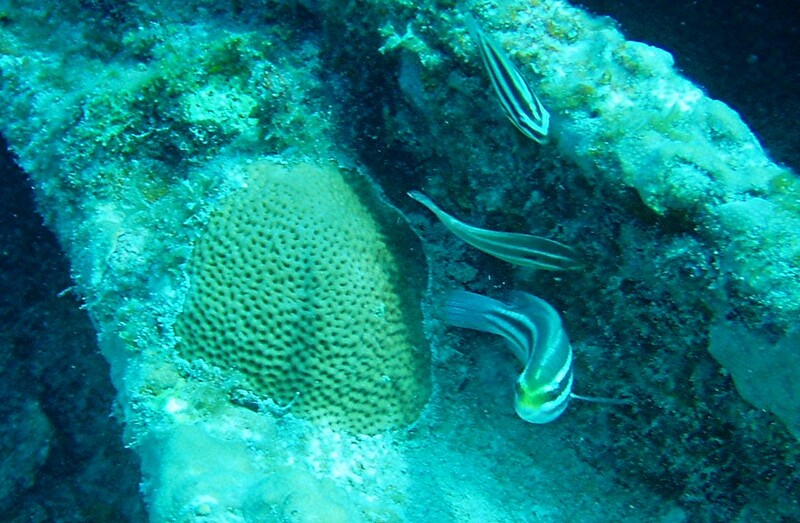 Location was Pickles Reef; Key Largo. 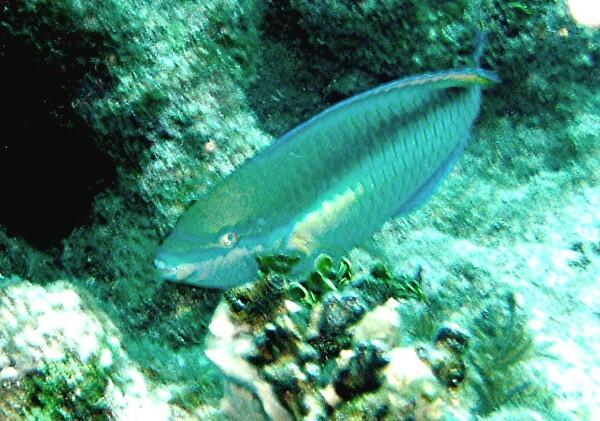 This is a Juvenile Striped Parrotfish about 3 inches. Photo by Rod 22 Mar 04 in about 30 feet water. Location was The Benwood Wreck; Key Largo.